Ms. Sloan began her career in law as a legal secretary in the enforcement division of the Texas attorney general’s office in 1962. Upon completion of a JD from the University of Missouri in 1971, she served as an assistant prosecuting attorney position for Boone County, Mo., and as an instructor at Northwestern Missouri State University. She entered the private sector from 1972 through 1976, working for Warren Buffet and later Richard Abalos. She returned to the public sector holding assistant district attorney positions with Midland County and Fort Bend, Texas, as well as instructing at Wharton County Junior College. Following these positions, she decided to open her own legal practice in 1980, focusing on family, criminal defense, federal and civil rights cases. 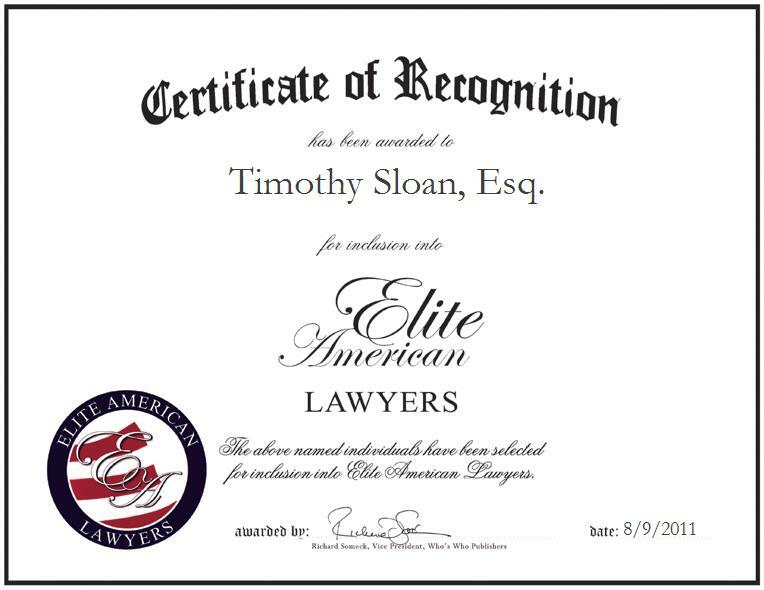 Ms. Sloan is licensed to practice in the states of Texas and Missouri, the U.S. District Courts for the Western District of Missouri, the Western District of Texas, the Southern District of Texas, and before the United States Supreme Court. She is currently the president of the Matagorda County Bar Association. A highlight of her highly decorated legal career occurred when she and a team of lawyers defended an inmate accused of killing a prison warden and guard. After multiple trials over the course of nine months, the defendant was found not guilty due to acting in self-defense; the story of the trial was published in Life Magazine.